Results Management Group’s associates are seasoned consultants and include executives of global organizations, renowned authors with decades of experience transforming results in hundreds of organizations. They have worked across the globe, with some of the worlds largest and smallest companies across industries, functions and cultures. Our business is your business. 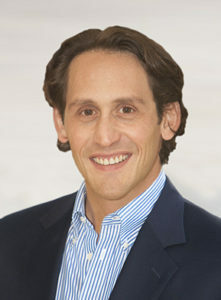 Matthew Levy is the Chief Catalyst of Results Management Group, a management consulting and executive coaching firm that supports executives and management teams to align with bold new visions and manage strategy execution to achieve new levels of results. He has more than fifteen years of experience in strategy, operations, family business, management consulting, and executive coaching; being a catalyst for companies to improve executive and business performance. He excels at guiding guiding executives, management teams, ownership groups, families, organizational leaders and other professionals to: achieve clarity about and commitment to compelling new visions, effectively collaborate, improve individual effectiveness, and build capacity to manage execution that leads to dramatically improved and increasingly predictable business results in any area. Mr. Levy is a strategic and results focussed consultant and an engaging discussion leader, recognized for his ability to productively support and challenge clients to see past unproductive mental models, causing them to freely take action and communicate in a way that inspires new behavior in others and changes outcomes. Through his provocative and high-impact consulting, his clients aspire to achieve an entirely new level of effectiveness and results. He has worked with executives and management teams at such well known companies as: Benetton USA, Kaplan Virtual Education, Motorola, Chevron, KBR (Halliburton), Bristol-Myers Squibb, TransUnion, IBM, GE, Rand McNally, Ameritech, Goldman Sachs, Andrew Corporation, ADC, Prudential Steel/Maverick, Huntsman, ConocoPhillips, Columbia Forest Products, Arkema, BHP Billiton, CB Richard Ellis and many others. He has also worked with dozens of family businesses and entrepreneurial ventures and also NGOs and governments including: the World Bank, Northwestern University, Florida International University, the United States Peace Corps, Republic of South Korea, and the Spanish Consulate in Chicago. Mr. Levy previously held corporate positions in strategic marketing, business development, market research, and alliance management with Motorola in Latin America. He holds an MBA from Thunderbird School of Global Management and a BA in International Studies from the the School of International Service at American University. He also studied Conflict Resolution at the Harvard Negotiation Insight Initiative at the Project on Negotiation of Harvard Law School, Entrepreneurship at Wharton School of Business, and family business and marketing at the Monterey Institute of Technology (ITESM) near Mexico City. He speaks English, Spanish, and Portuguese and has traveled to more than 30 countries, living for extended periods in Europe, Latin America, and the Middle East. Sales and market share doubled in a year - Division, GE Financial Services (now Genworth).